FINALLY I have decided and completed publishing a list of some of the trusted solo ad sellers who I’ve bought solos from in the past with great results. I am also including the small list of vendors whom I’ve had HORRIBLE experiences with so you can stay away from them. I put this list together in an effort to help you find great solo sellers to buy from. However please keep in mind that these are people who I have personally bought from, not just a random list of people. Having said that, this doesn’t mean that just because I had good results with them you will to. There are a lot of variables that come into play that will determine how well your solo ad will go i.e. your offer, squeeze page layout, headline, etc. 2. My Free Video Marketing report. Out of the two my WordPress training tends to convert better in terms of front end optins BUT my video marketing report tends to convert better into actual sales from my backend follow up sequence. For quickly designing squeeze pages I personally use OptimizePress. There is a $97 investment for this WordPress theme but it is the LAST and ONLY Squeeze page WordPress theme you will ever need. Not only that but you can also use it to build membership sites, sales pages, sales funnels etc. 1. ALWAYS check your squeeze page to make sure it’s working. No matter if you’ve bought hundreds of solos. I recently lost $50 and 100 clicks which was potentially about 40-50 optins because I did not check to make sure my squeeze page was working. I will be updating this list as I buy more and more solos to continue to give you more and more resources to buy solos. 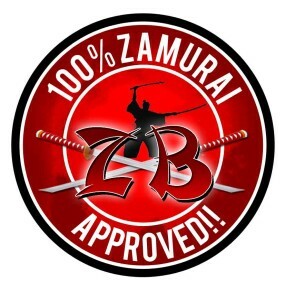 So here it is my list of sellers that are 100% ZAMURAI Approved! Ashley Gough – horrible clicks, horrible communication, took my money and RAN! Holly Sutton – horrible clicks, horrible communication, took my money and RAN! That is it my friends. I am going to continue updating this page as I buy more and more solos so be sure to bookmark it and check it periodically to find new solo sellers to buy from. And Don’t Forget to hit the “Like” Button below and share this page with your friends. WOW Josh! You have no idea how helpful this list is. I have been looking to get into solo ads and being able to get a list of trusted vendors is a true time saver. THANK YOU! Glad I am able to help Mike. If you have any questions just let me know. Thanks Joshua, this list will be very handy! Great job on the list. Seriously helpful. Especially since they are tried and tested. Thanks Joshua, much appriciated! Thank you Bill! Glad I can help. LOVE the tweet button with the little guy, awesome!!!! Hahaha it’s just an image. You can right click and save as. If you don’t mind me asking, what’s your optin rate and do you break even from your OTO? Very practical information, well done! Surely there are more sellers that you don’t trust though? I have come across quite a few who have let me down in my short term of running the solo ads business. It is encouraging to know that well-performing, conscientious sellers are in much larger numbers. that is a seriously helpful post man. I will need exactly this sort of information very soon, so your list, and your guidelines as to what worked well at the start of the post is absolute ‘gold’ to me. Glad you found it helpful man 🙂 This is something I wish I had starting out with solos. Would have saved me a ton of time. Anything else I can help with let me know. Grreat Stuff Brotha thanks for sharing. I will share what I get from them cus am getting ready to turn on the funnel ON! Take care and have a great month! Glad I can help Kent! 🙂 Anything I can do to help let me know. Hi Josh! I failed in doing SEO and PPC so I hope this will be the answer for my struggling internet marketing now. My question is, if I’m going to buy some of those solo ads, will I get the targeted traffic I need? For example, if I am selling some weight loss products, will I get traffic from those who need weight loss things? I haven’t yet tried this thing so I just want to learn more about it. Thanks! Glad to have you here. and this list of solo sellers is exclusive to the internet marketing niche. If you are looking for solos in the health niche I recommend looking on the Warrior forum JV section http://www.warriorforum.com/warrior-joint-ventures/ you can find other people in the health niche there. Just be careful as always and do your due diligence. I’m always looking for more solo ad seller. I found you on the Warrior Forum. I just bookmarked you blog. sellers here that can deliver great traffic. Hi Joshua! A friend of mine brought me to your website and so I have purchased solo ads from a few ppl you listed here. One of them was Brian Mullis, and hope you don’t mind me giving a review here. His solo ad was dope! I bought 100 clicks, he sent 120 clicks. I got an all time high of 59% for my opt-in rate too! Hey man! I’m glad I can help. Yea Brian and just about everyone on the list has great traffic. I added a couple more over the weekend so be sure to check back constantly 🙂 That is some great conversion rates too! Interesting that your wordpress squeeze is converting so well. What plugin are you using to get the mouse over optin boxes in your posts? I noticed a while ago that buzzblogger.com is for sale at godaddy.com. It seems the domain dropped. Thanks for dropping by. It’s actually a plugin I had developed which is launching next Monday the 15th. It works extremely well. Thank you for the heads up about the broken link. Unfortunately Kim’s domain was stolen so it’s been a nightmare for her. I’ve been trying to update every optin form I have with my new funnel and completely forgot to update my blog optin form lol. I do not know this guy from Adam. I see him everyday hustling to buy solo ads. I mean EVERY DAY. So while I may not know him this tells me if he is recommending solo sellers FOR FREE people should take note and listen to this dude. Gratz dude am bookmarking and will return frequently. Haha thanks Christopher! Gota keep hustlin! Anything I can do to help let me know. Great post! 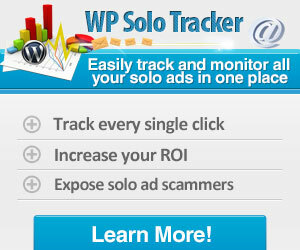 I am always looking for new solo ad providers and your list definitely helps. One of the things I have become interested in lately is private Skype rooms created for the purpose of swapping or selling solos. Have you had any experience with that?